Jen here, writing on a slightly overcast and delightfully fall-ish day in midcoast Maine. I’m very excited about the subject today, since it’s something near and dear to my heart: independent publishing. Since Kate Flora wrote the very popular post, “Can You Afford to Get Published?” examining the challenges inherent in being traditionally published, she suggested that I write something about the indie publishing world. First, a bit about me and my writing career: I graduated from the Stonecoast MFA program in the summer of 2005, when self-publishing was still very much a dirty word. Fast-forward seven years, to 2012. Popular opinion had shifted with respect to the validity of choosing to publish oneself rather than go the traditional route, though there are still many folks out there who have their doubts. I had a completed mystery that had been through endless beta reads, edits, and revisions. I’d been told more than once that it was good – which meant, in theory, that I should start querying agents, who would ideally see promise in an untried novelist and might then, months later, respond by taking me on as a client. At which point, I could expect months more of waiting while my manuscript languished on an underpaid and overworked editor’s desk. If a publisher did actually choose to sign me on, as a first-time author with no real track record, the best I could hope for was an advance in the very low thousands while I waited for the book to come out. Then, eventually, I might earn royalties. Hopefully. Meanwhile, I would be at the mercy of the publisher’s schedule in terms of when the next book came out, most likely at least a year down the road. Despite the cachet that comes with being a traditionally published author, none of these things seemed appealing to me. So, in February of 2012, having never submitted my manuscript to an agent or publisher, I self-published All the Blue-Eyed Angels as an ebook on Amazon. In June, I did a free promotion through Amazon’s KDP-Select program, which was getting great press at the time. The novel hit number one in Amazon’s free store in Thrillers and Mystery/Women Sleuths, and number three overall in Amazon’s free store. Which is super, except that you don’t actually earn money when a title is free. However, the momentum was enough that it carried over once the book was no longer free. In June, I sold 1,260 copies of Angels, which may not sound like a lot, but was about 1,200 copies more than I’d sold previously. Suddenly, I found myself with an inbox brimming with new fans eager for the next installment of the Erin Solomon series. I published book two, Sins of the Father, in July of 2012. That one hit the paid bestseller lists on Amazon, and carried Angels right along with it. Though I was hardly getting rich on two books, I was earning upwards of $3000 per month on two titles alone, having been in the game for just over six months. I’d been a starving writer long enough to consider this big bucks. That pretty much cemented my stance on independent publishing. I was – and am – firmly in favor of it. Three years later, I now have five novels out. Those five novels comprise the complete Erin Solomon Pentalogy. They are well-reviewed and have been well-received, and regularly hit the bestseller lists on Amazon and Barnes and Noble. In April of this past year, I did a paid advertising spot on the promotional website BookBub for Angels, which is now permanently free with multiple online booksellers. That month, I sold just under ten thousand copies of my other four novels on Amazon, Kobo, and Barnes and Noble. All of that sounds great, right? But the reality is that I recognize that I’m an outlier in this game; there are plenty of other self-published authors out there who make next to nothing and have no idea how to change that. So, how did I increase my chances of success in the indie publishing game? Here are six strategies I used, and a good way for you to gauge for yourself whether self-publishing is for you. Establish an online platform. Personally, I actually started by writing fanfiction purely as a fun exercise to see how quickly I could complete a full-length piece of fiction and keep readers engaged. Many of my most loyal readers now actually discovered me through the fanfiction I wrote back in the day. I also worked as a freelance journalist; created my own website and began reviewing mysteries by other authors; started a Facebook group adevoted to fans and writers of mystery, suspense, and thrillers; and created my own online magazine that revolved around the Erin Solomon series. It’s not necessary to go quite so elaborate as your own magazine, but don’t be afraid to try new things. These days, the pressure is on just as much for traditionally published authors to make a connection with their readers online, so whatever route you choose, be prepared to get comfortable with social media in some way or other. The key is to do it on your terms, and to play to your strengths. Have more than one title in your repertoire, and a plan for writing and publishing going forward. If you’re the kind of novelist who writes one book every nine or ten years (or every two to three years, for that matter), trying to break into traditional publishing may be a better option for you. I’ll be honest: The numbers game in independent publishing is such that you are far more likely to get readers’ attention if you publish regularly (conventional wisdom says at least once a year, and ideally more than that) and have a few titles to offer. If you’re uncomfortable with the pressure that puts on you as a writer, you can look at things in the long-term, continue to write at your own pace, and simply accept that it may take you a little longer to create a backlist for readers. One of the nice things about being an indie, and particularly being an indie in the world of ebooks, is that your novels have a much longer shelf life than they do if you have a publisher trying to sell hardcovers at a premium price in a crowded market. Write a damn good book. There are thousands of independently published books that people put online because it seemed easy and they just wanted their books up there for the world to see, or they had lofty ambitions about making their fortune for next to no work. Happily, there are now plenty of quality independently published books out there as well, by authors who are conscientious enough to work with beta readers, hire a great editor, and take the time to ensure that what they’re putting out there is worth readers’ time. If you’re going to self-publish, be prepared to spend some money up front to make sure you are one of the independent authors putting out a truly great book. If you want more specifics on just how much start-up cash you’ll need, I’ll break that down next month. Spoiler alert: It’s probably not as much as you think. Network with other authors, both independent and traditionally published. I mentioned previously that I had a website through which I reviewed other mystery authors’ books. I also did author interviews, promoted books I enjoyed, and offered spots so that authors could do guest posts if they wanted some extra exposure for their work. While you should never forget that you’re trying to connect with readers more than other writers, it’s good to keep in mind that authors in your genre are also readers – and they’re readers with clout and an audience you have yet to reach. My strategy is always to figure out what I have of value that I can offer someone else, and cultivate a relationship from that starting point. While our world is undoubtedly more technologically complex than it once was, those advances have made the publishing world a very small place. Use that to your advantage, and you’ll be amazed at the connections you can make…and what those connections can do for you in the long-term. Price your work reasonably. I run an editing business in addition to my writing career, and am often flabbergasted when I see independent authors with genuinely great work, who then price themselves out of the game by offering their ebooks for prices readers today simply won’t pay. Look at other authors in your genre – and not Stephen King or Patricia Cornwell. Look at other popular independently published novelists, and watch what they are doing with their prices. Personally, I have the ebook of my first novel available free on most online stores; the others are priced at $3.99, with the most recent release priced at $4.99. In April, when I blew away my previous sales records, I did a massive sale and offered all four of my other novels for just $2.99 each. Clearly when you have access to a global market, those dollars can add up quickly. Is it a blow to the ego to offer work I’ve slaved over for months or even years for just a few dollars? I guess it might have been initially, but at this point I personally am far more concerned with continuing to sustain myself so that I can keep writing than I am with taking a political stand on the value of creative expression. Educate yourself, and keep up to date on current and shifting market trends. I mentioned Amazon’s KDP Select at the beginning of this article as the way I first got a foothold in the indie publishing world. Though Amazon still offers the KDP Select program (in which you agree to sell exclusively through Amazon for a minimum of three months, in exchange for increased publicity and access to promotions otherwise unavailable to authors on the site), I don’t use it any longer and don’t usually advocate it for others, for a variety of reasons I won’t get into now. Pixel of Ink was the big advertiser in 2013; in 2015, if you can get an advertising spot on BookBub, do everything in your power to make that happen. The face of publishing is changing at an astonishing rate right now, so it is in your best interest to make yourself aware of the trends and plan accordingly. This past year, I’ve taken Joseph Michael’s course Learn Scrivener Fast, Nick Stephenson’s Your First 10K Readers, and am currently enrolled in Joanna Penn’s stellar Creative Freedom course. I’ve already seen significant dividends with each of these courses, and have ideally given myself an edge that will enable me to continue growing as time marches on. If all of this sounds exhausting to you… Well, sometimes it is. I won’t lie – it’s a lot of work, and if your dream is truly to simply be a writer and you have no interest in the business side of things, you may find independent publishing to be a trying task. My goal from the time I was a kid has been to be a full-time author. I’m not there yet, but if things go according to plan, I’ll ideally be making my target income purely from my fiction by 2017. I don’t need to get rich – I just want to make a livable wage and feel as though I have control over my own creative destiny, and this happens to be the path I’ve chosen. As far as I’m concerned, there is no right or wrong answer in terms of your own publishing career. I have nothing against traditional publishing, and have no illusions that indie publishing is the cure-all for every author out there. But if you can honestly evaluate your own strengths and you find yourself leaning toward the indie way of life, an adventure – and a potentially financially viable, creatively fulfilling adventure, at that – may await. I’m curious about your opinions on independent publishing today. If you’ve considered self-publishing but have yet to take the plunge, what gives you the most pause? This entry was posted in Jen's Posts and tagged self-publishing. Bookmark the permalink. Wow, lots of info. Good info. Jen can you give me your business contact for your editing firm and links to your web site? Sure thing, Jewel — I’m glad it was helpful! My company is Adian Enterprises, and you can find info on rates, services, and several articles I’ve done on writing and self-editing at http://adianediting.com. Thanks for writing this, Jen…lots of good food for thought! Wow! Finally someone who is singing my song and not making me feel like a crazy person for making the decision to publish my books myself. My decision to go independent was purely a business one. I turned down a small press after I learned that their promotion of my work would essentially stop after a six week push. I had a long career in business development and marketing, meaning I had the skills to reach out to new markets and new readers. I also knew I’d be “out there” promoting and talking up my work on many platforms. After running the numbers and assessing the pros and cons, I made the leap. This post is an excellent perspective on how writers see the difference in publishing, but readers only care about a good book and a responsive author. Thanks for a great post, Jen. Thanks for the comment, Connie. It sounds like you made a choice that fits perfectly with your personality and goals — which, to me, is what this is all about. The thing I love about the changes that have come about in recent years is the fact that authors actually have an opportunity to make that choice, when before it was simply out of their/our hands. Now, we can honestly evaluate who we are, what we want from our careers, and determine from there what path makes the most sense. And I love your comment, “readers only care about a good book and a responsive author.” I’ve absolutely found this to be the case — well said! Thank you for sharing this, Jen. Good information and, yes, good food for thought. Among the reasons I don’t consider self-publishing (at this writing) is that I can’t do it all well, and I’m persnickety about a job well done. I acknowledge and accept my real limitations (not excuses). After the discipline and solitude of writing, it’s a relief to have outside input. I appreciate the gestalt and synergy of collaborating with experts (agents, publishers, editors, designers, typographers, booksellers, marketeers, etc. ), the guidance of pros who (hopefully) know exactly what I should be doing. When the process works well, it’s a beautiful thing. Very well said, Karla, and I applaud you for knowing yourself well enough to recognize what works best for you. I agree — when the process works, traditional publishing can absolutely be a beautiful thing, and I’m very grateful for the agents, editors, publishers, and countless other professionals who work with authors to put out great books. Thanks so much for your honest and well-considered answer! Glad you’ve found it helpful, Bette — thanks for spreading the word! Thanks for this one. As others have said, it’s full of useful information. One of the challenges I’ve encountered here in Maine is the fickleness of beta readers. Wish there were more or some way to find more. Thanks, John, glad you found some of the information helpful. There are actually a few places you can go to find quality, qualified beta readers — though you’ll probably be working with someone outside Maine. I’ll talk about that a little bit more in next month’s post, but there are networks through Goodreads and World Literary Cafe that can put you in touch with folks who really know what they’re doing. Just an FYI, I also offer a beta reading service through my editing business that’s priced very reasonably. Let me know if you’re interested in learning more. Great article – several of your points are actual workshop or panel topics at IPNE’s New England Publishing Conference, coming up in less than 2 weeks in Portsmouth, NH, 9/25-26. 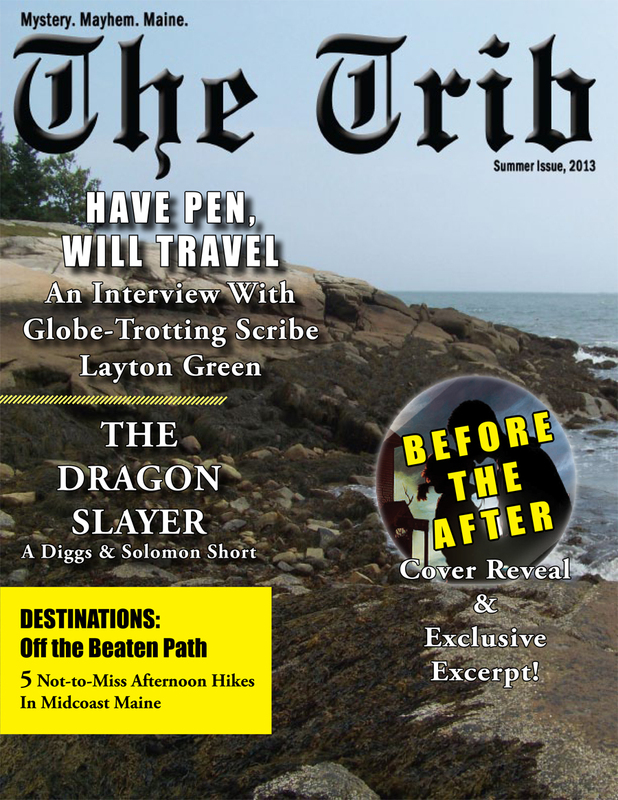 We need all you Maine Crime Writers! With Indies, collaboration, education, and networking are key, and you’ll find all in abundance at the conference. Book Awards are Friday night. Keynotes from Shelf Awareness, IBPA, Publishers Weekly, ForeWord Reviews, and Ingram/Lightning Source. Bring your books to sell in the conference bookstore! Thanks for the information. I self published my first book ‘From Beer To Beards, Boston Baseball’s 2011-2013 Roller Coaster Ride’ and have been selling it on Amazon, without much success. I have had better luck with peddling it to book stores myself and book signings. I have not tried the ebook route and am kind of afraid of it, manly because of my lack of understanding and time. I am working on my first novel based around my 30 years experience as a cop. Do you think the ebook route would be good for me? I am 77 years old and also working on a second book about the Red Sox, writing a weekly baseball column for a daily paper, managing my own blog at baseballworldbjt.com and contributing to Insider Sports Network on the Web three imes a week. The book has been out since January. I am thinking of trying to self publish with myspace.com for the next baseball book. Hi Carl, Thanks for the comment, it sounds like you’ve done some great things with your writing thus far — I can definitely understand being overwhelmed at the notion of turning to ebooks at this stage of the game, though. However, you actually have quite a bit of online exposure as a result of everything you’re doing and a very good platform, so I think turning your ‘From Beer to Beards’ book into an ebook wouldn’t be a bad idea at all. I looked the book up on Amazon, and you have some good reviews and it looks very professional… If you hired someone to do the cover and the print formatting, they may well be able to help you do the ebook formatting inexpensively now. From there, it’s actually very easy to upload the finished ebook to Amazon and Barnes & Noble. You’ve done the hard part by writing the book and maintaining what sounds like a very busy career — this next step could be a great one for you going forward. Good luck, and feel free to contact me directly if you have other questions. Thanks, Jen. I contacted my publisher today and for a fee of $150. they will get me on Kindle and the other EBooks. I told them to go ahead and start the process. Thanks for the advice and for the kind words. I just don’t understand why I have sold so few books on Amazon. Say Hi to my old Buddy, Kate, from way back. Excellent, glad to hear it! Print books by unknown authors sell notoriously slowly on Amazon… When you get the ebook done, be sure to let followers of your own blog and the other outlets you write for know about the release. It looks like you have a wordpress website, so it’s fairly easy to add a widget on the sidebar with links to the different stores carrying the book as both ebook and in print. If you aren’t sure how to do this yourself, check in with someone tech-savvy in your world… Anyone who knows wordpress should be able to help you out. Good luck! Carl, I guarantee the IPNE.org conference will be helpful in your quest. I’ve been to 4 of the 5 and always come away with much more value than the registration cost. MWPA members get our member rate as an affiliated org. Excellent post. I chose self-publishing for similar reasons. Thanks for the recommendations–I will look into Joanna Penn. Great, Amber, I’m glad to hear the post was helpful and delighted to hear you’ll check into Joanna Penn. She’s an excellent resource for indie authors interested in learning more about the business and marketing side of self-publishing. Good luck! Jen, I have four published novels, the fourth one will be released Oct. 1, and have seen very little success. With a fifth and sixth in progress, I’m just wondering if going the self publishing route might make sense. My main concern is the amount of time that seems necessary. You are obviously a high energy person. At my age, I no longer have the kind of vim and vigor I once had. A warning to those aspiring authors out there, don’t wait til you are in your sixties to begin. Thanks for the comment, Russell. You’re right — self-publishing absolutely takes energy, particularly when it comes to marketing and social media. The biggest thing to ask yourself is whether that will be too much of a stretch for you at this stage of the game. In the comment from Carl above, he notes that he’s already blogging, writing articles, and well-established in an online community directly related to the topic of his book. So, that seems like a no-brainer: get that ebook out there. You write the Detective Cole Sullivan series, correct? (We actually met at Books in Boothbay this past summer). I’d be happy to talk to you a little about your options, and maybe some ways you can work with your current publisher — assuming they’re receptive — to get books moving. Just drop me a line at the email through my website (click on my name and it will take you there), and I’m happy to talk. Thanks Jen, I’ll be in touch in the next day or two. Thanks for your generous sharing, Jen! I’ve taken your contact info for editing too. Look forward to your future posts. Keep up the great work. Thanks again. Thanks, James — I’m very excited to be part of things at MCW, and glad to hear the post was helpful.